is the message from Fashionable Stamping Challenges this fortnight!!! 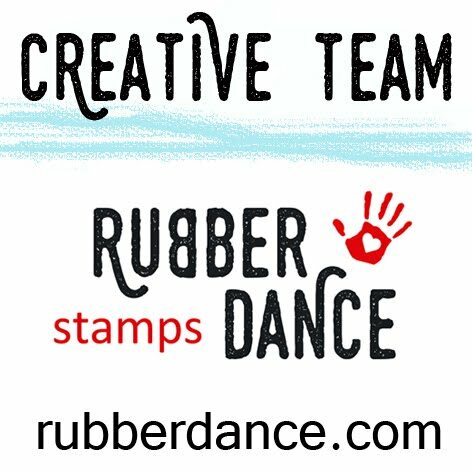 So…grab your stamps, inks, sprays, pastes, powders and whatever else you need to make a mess! Let your imagination rule the day and have just have fun. Don’t forget ~ Marina from Cottage Crafts has a voucher each fortnight for a prize. and see where your heart takes you!!! and it will be a masterpiece! Love that Messy and Inky background! It was too much fun to keep track of what we did! Love the images and making the old vintage jalopy a focal point is brilliant! Beautiful! just a beautiful bakground, like it. Beautiful images. 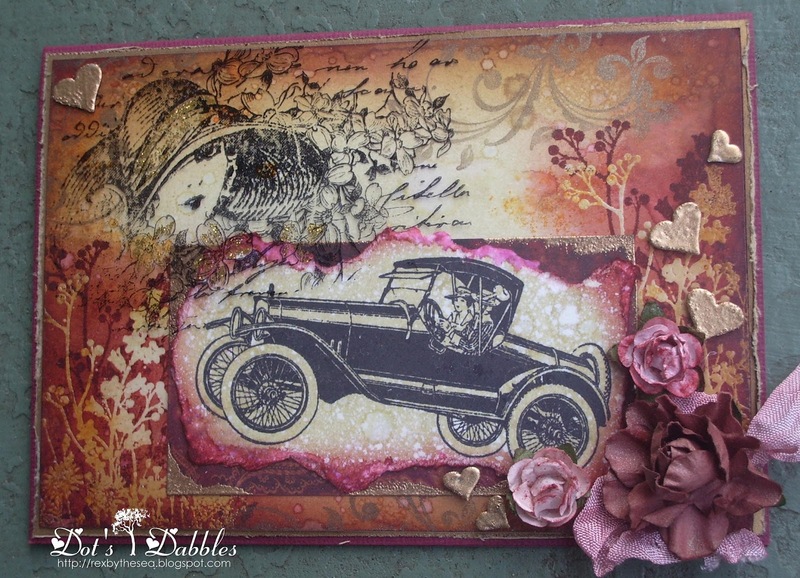 So glad you had fun with this super background and what a lovely way to use the top left stamp and that vintage car. Love the rose btw. Gorgeous colour, so warm and fabulous depth to it. Wahoo Dot love it love it you are the best. Beautiful colours, gorgeous stamps and an amazing layout. PS – Finally found a way to let people know I have posted lol. Awesome card! You're background is amazing and I love those vintage stamped images! Thanks for sharing with us at Frosted Designs! A wonderful card with great details. The flowers look fab. A great crad with beautiful stamps and details. This is so gorgeous… I love everything about it – the russet, mulberry, gold and black colour combination is to die for… gorgeous stamping, masking and embellishments. She's divine in that hat (what stamp is it, do you know? ), whole thing's just lovely! Love this one Dot, the background looks fabulous. Love your old jalopy focal point. WOW looks so beautiful and a little bit mystery, I love the effect and coloring too! Wow!! What a stunning card! Love the colors and the great image!! Thank you so much for joining us over at It's All About The Vintage & Beauty Challenge! Good Luck! Hugs and sunshine! Love the vintage look!!! wow!!! looks like alot of work!!! thanks for sharing with us at Frosted Designs. Beautiful background! Love your flowers, too. Love the mix of colours, images and those fabulous flowers Dot. your wish comes true with me, this made me smile for sure…your background is YUMMY, love the masking, and those stamps are fantastic; love the addition of the flowers…really great piece and the outcome is so fun…oh yes, and I love the colour combo…xoxoox G.
Love the colours, inky background and the flowers are gorgeous! Right up my street! An absolutely gorgeous card with a really stunning background and the added stamped images and embellishing are totally gorgeous. Thanks for your comment on my bird cage card and the mottled background came from a book so when I get a spare few minutes (hopefully tomorrow), I'll take some step by step pics and email you as it's so easy you won't believe it – very messy though! What a wonderful quote! I do like that one :-). Sorry for my absence of commenting lately , your card is fabulous Dot, and your inky time is definitely a success. I love the gorgeous colours you've put together with those stamps.